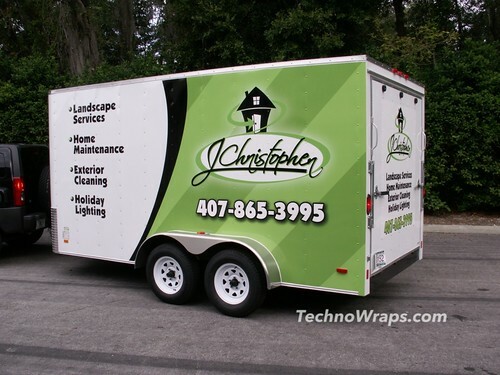 Trailer wraps are a great way to turn your vehicle into a mobile advertisment. 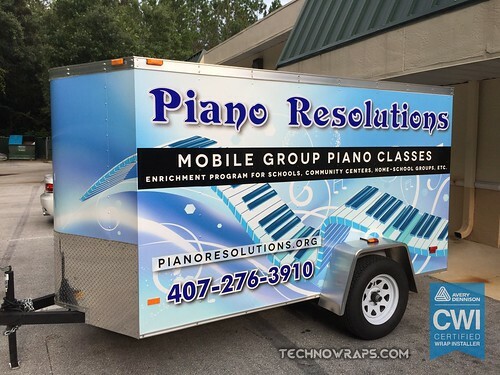 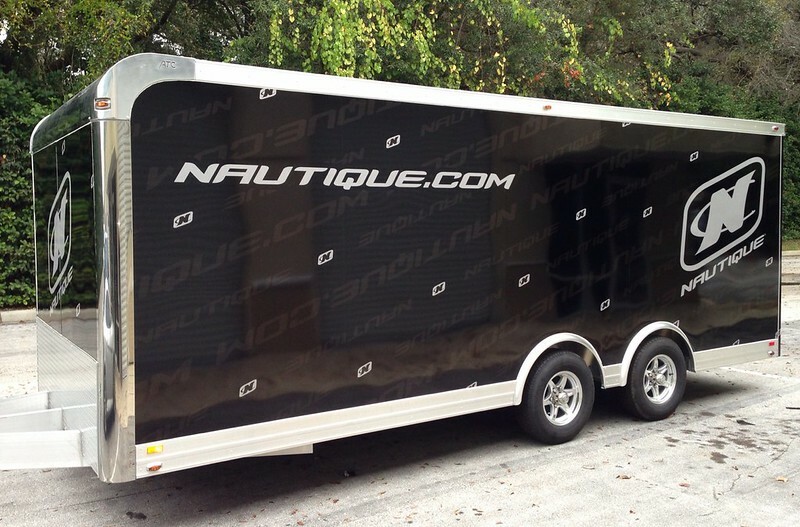 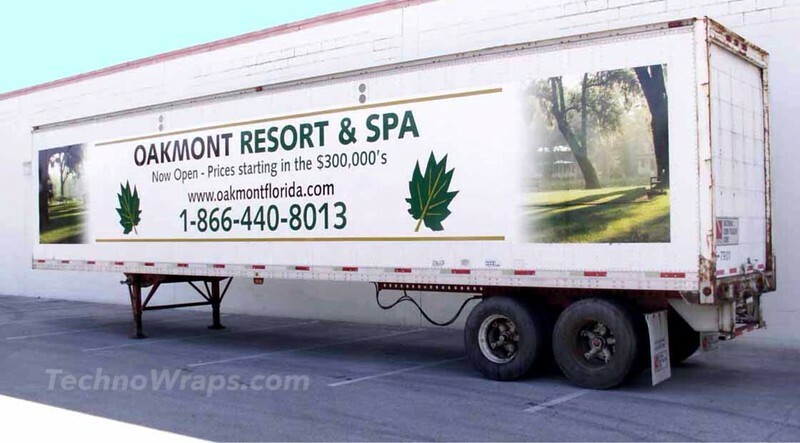 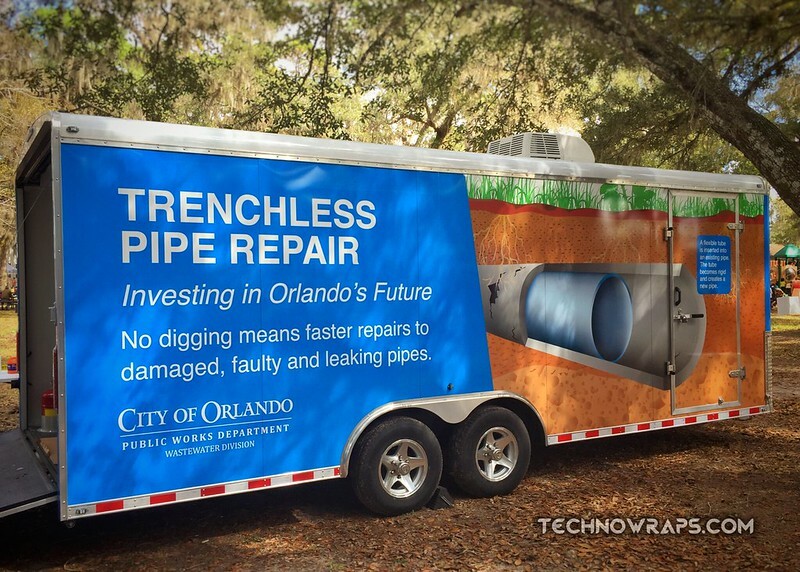 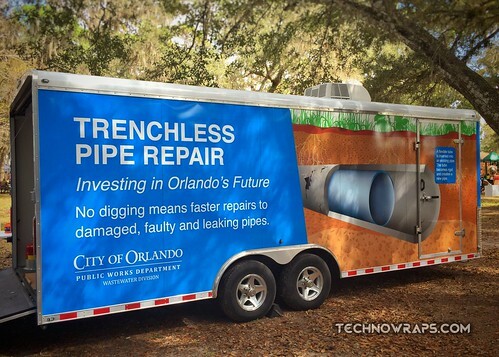 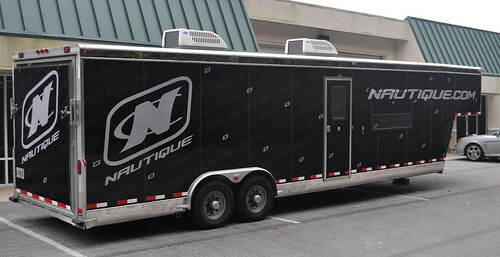 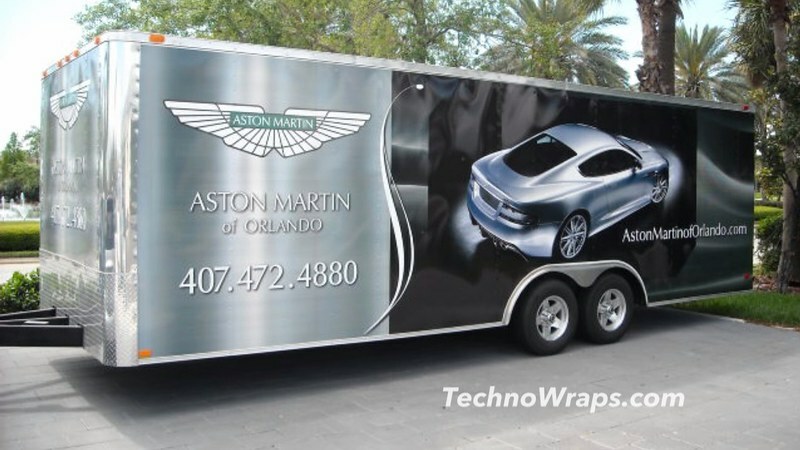 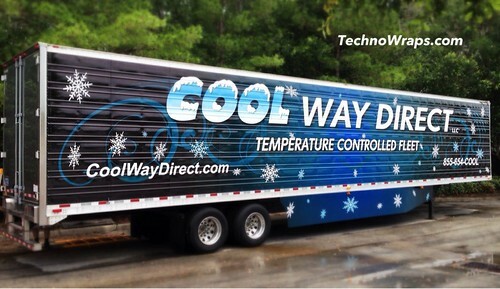 A well designed trailer wrap design can really turn heads in Orlando. Wrap designs can vary from corporate logos and understated graphics, to edgy flames and skulls for personal vehicles. 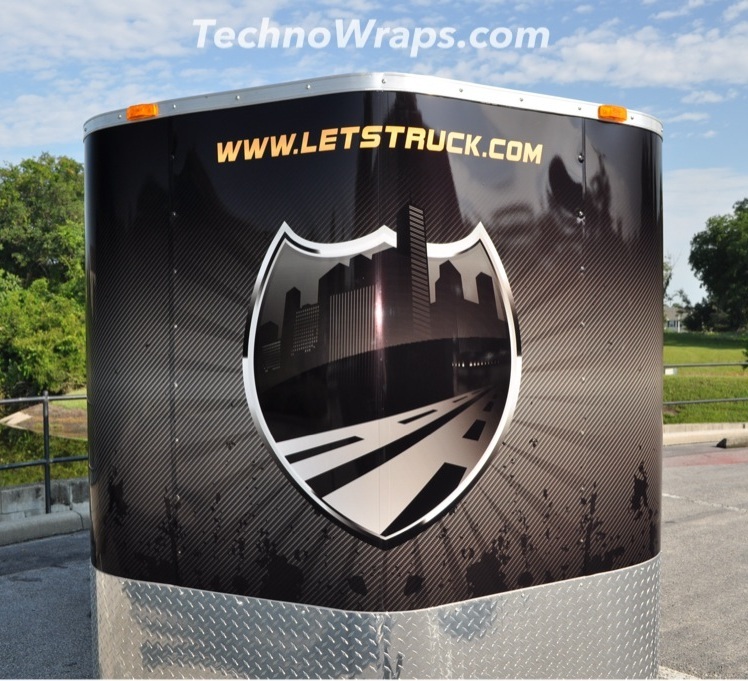 We pride ourselves on clean wrap designs, yet we can be dark and edgy when the design calls for it. 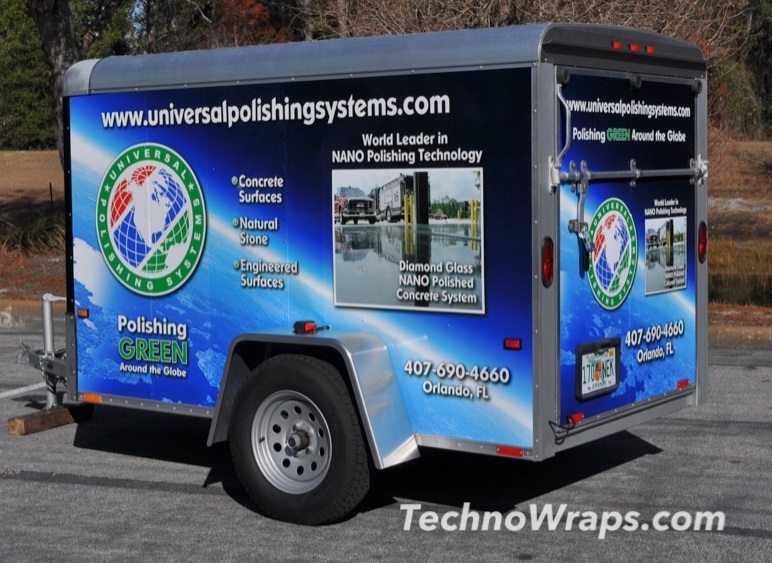 Every trailer wrap that we do is designed appropriately for its intended use. We can do full trailer wraps, or partial wraps. We use the finest quality high performance grade vinyls available, made by American brands such as 3M and Avery. 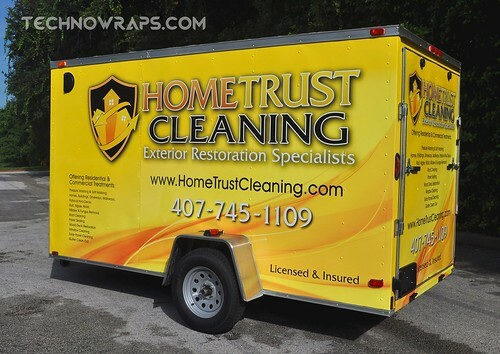 We also add a clear gloss layer of laminate on top of the vinyl, to make it extra durable. 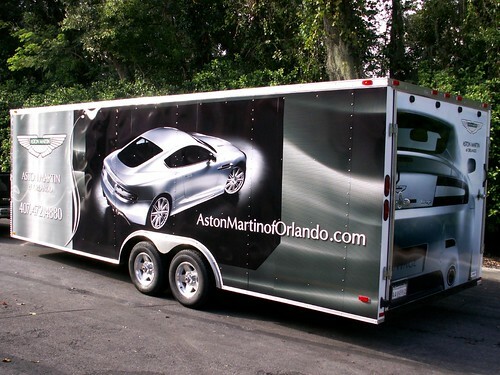 Our trailer wraps are printed with as few seams as possible. 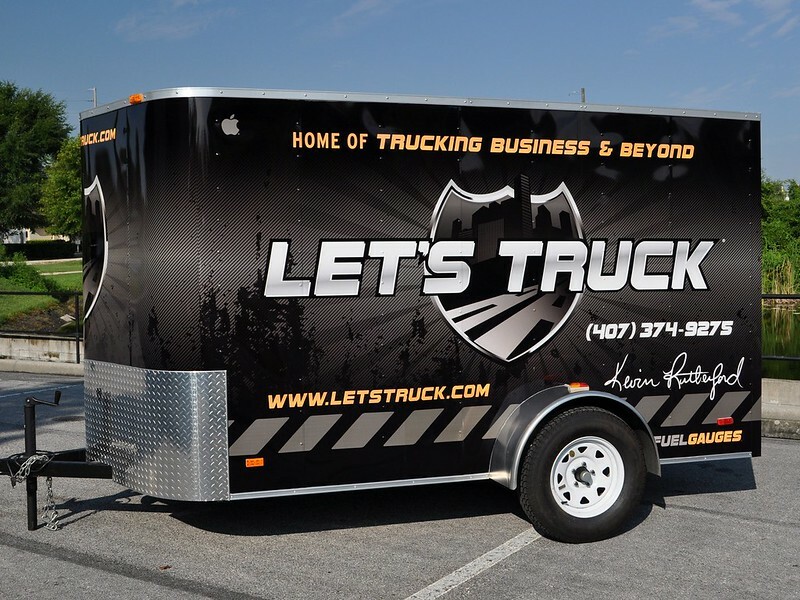 Our team of top-notch designers can create the look you want to achieve. We can work with your supplied graphics, or design the entire wrap from graphics that we create. 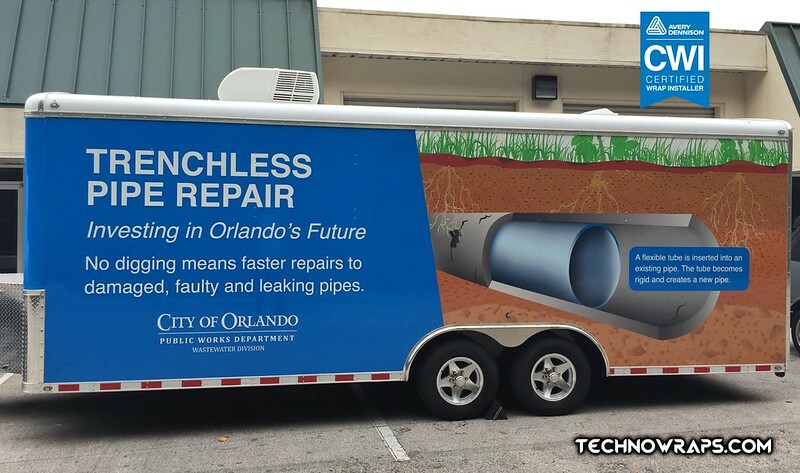 Installation quality is very important to us, too. 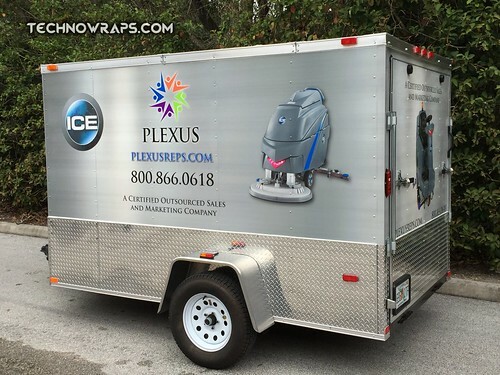 Our wrap installers have wrapped hundreds of vehicles of all kinds. Rest assured that your new trailer wrap graphics will be made from the highest quality materials available. 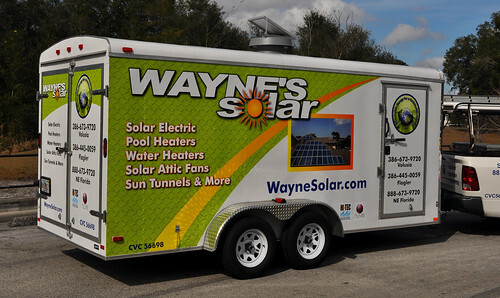 Your wrap will be installed by some of the best and most experienced installers in Florida. 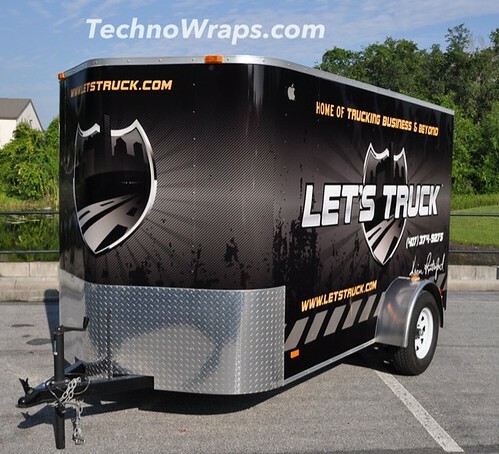 No trailer is too large or too small for a wrap. 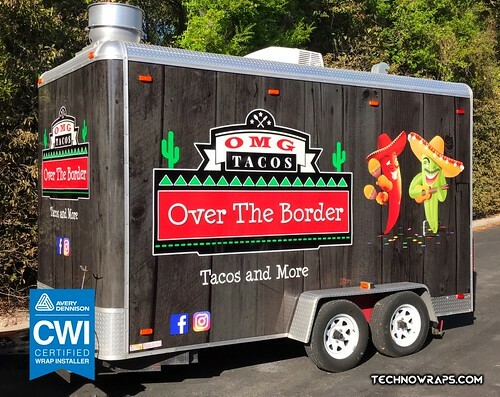 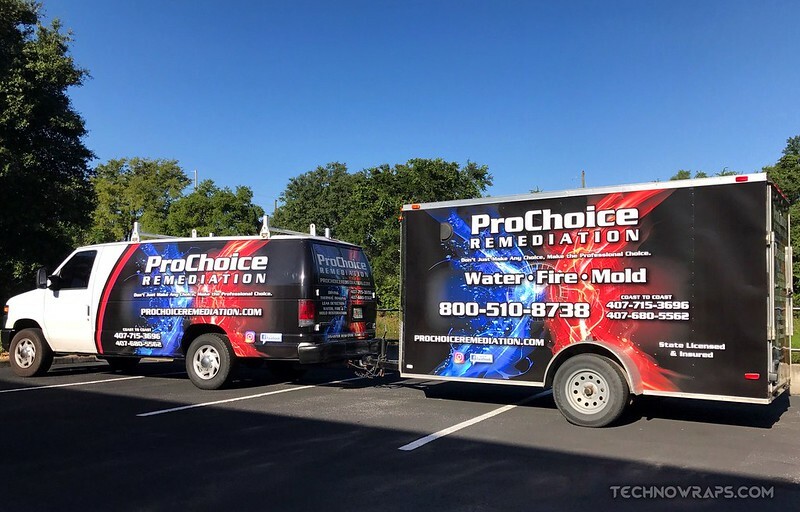 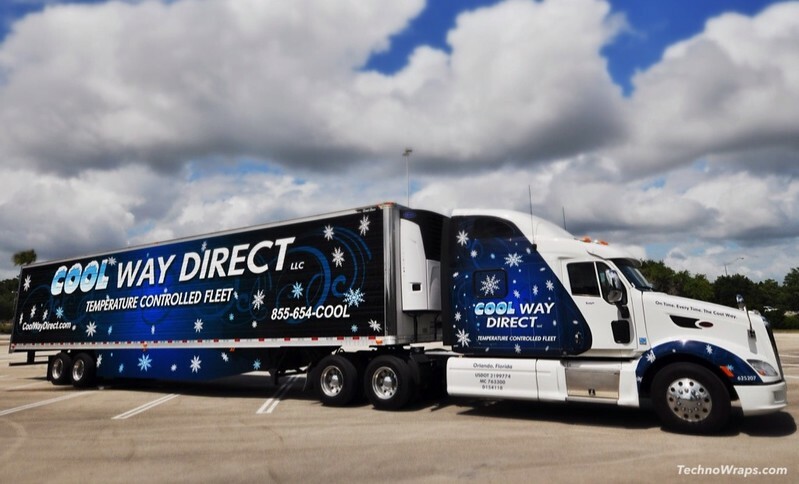 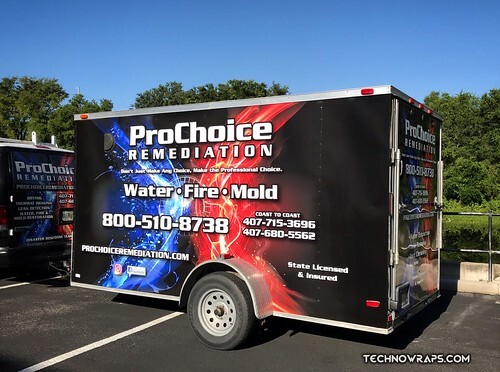 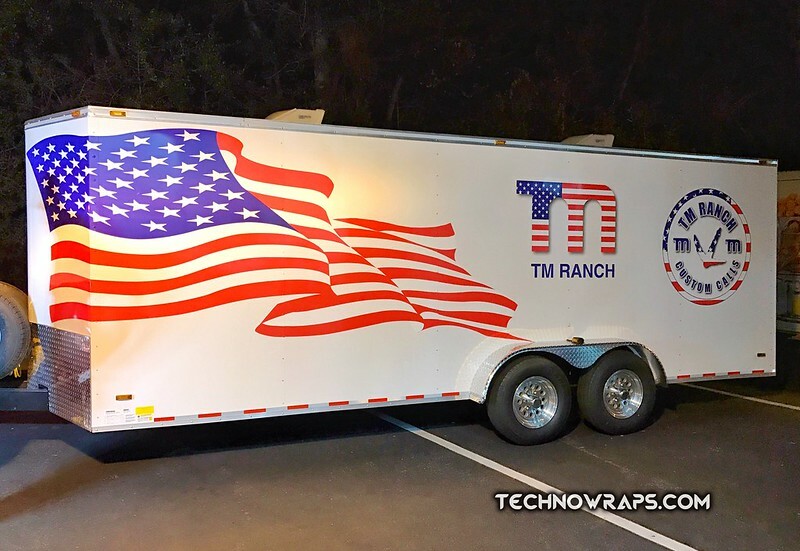 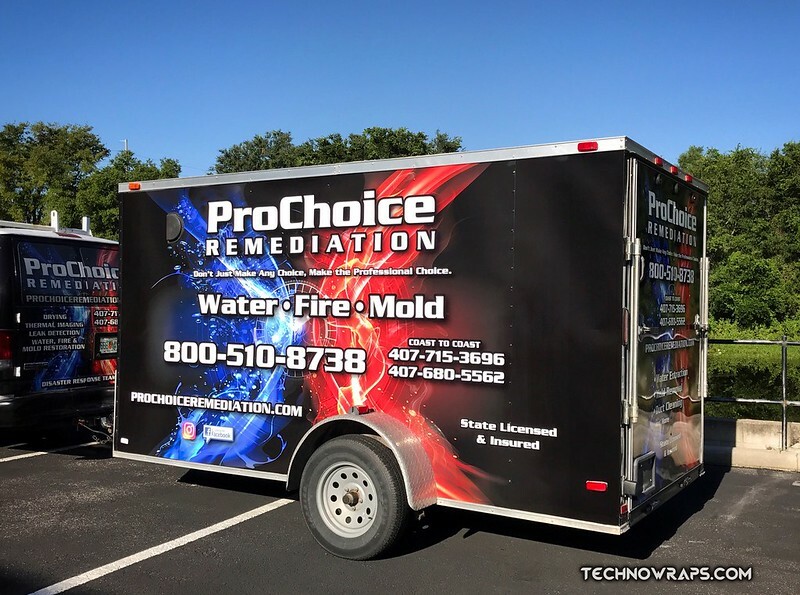 Whether it is a service trailer, work trailer, or a vehicle transport trailer , your company information displayed on a trailer wrap will assure a professional image. We’ve wrapped everything from small landscape trailers to 42′ manufacturer trailer rigs, and every size in between. 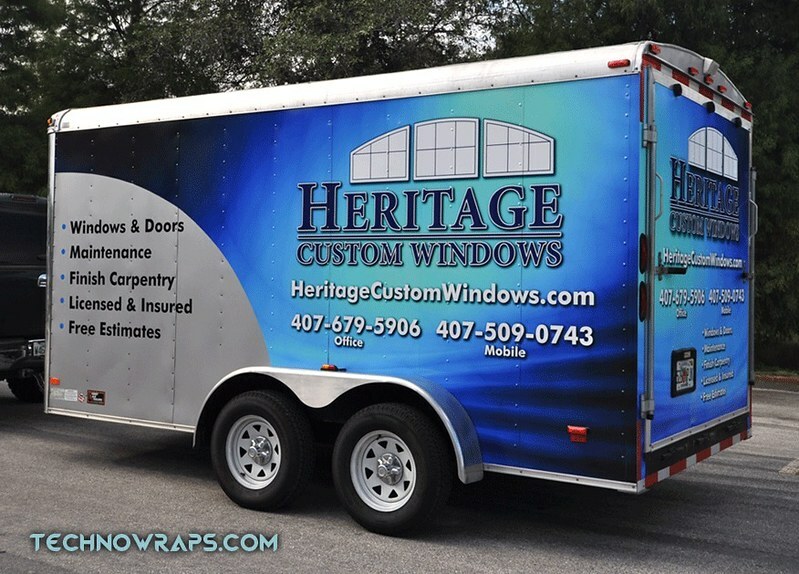 If you’re looking for an experienced wrap company that you can trust for your trailer wrap, you’ve come to the right place. 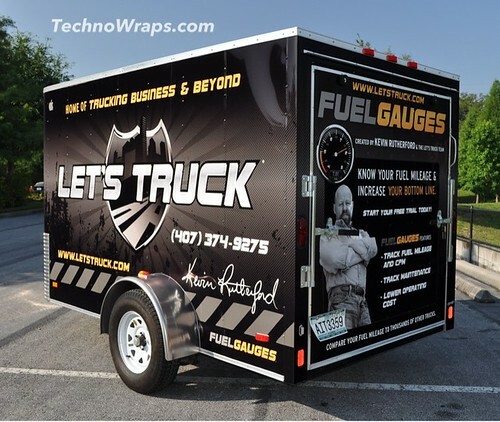 Call us today to get a quote on your trailer graphics!